Manila and London, May 21, 2012 – My|Phone and EMOZE Ltd. today announce the launch of a new range of smart feature phone devices embedded with EMOZE’s push mail and messaging technology. These next generation phones provide a more user-friendly email and instant messaging experience. With EMOZE pre-embedded in the devices, users will be able to easily and securely access both enterprise and personal email accounts, synchronise their email contacts and calendar, view office attachments, send voice messages via email, and chat in real-time with their friends. EMOZE is fixed in the operating system of the device and does not require any middle ware or run time environment to load, but rather it starts when the phone is powered on. In addition, EMOZE is suitable on any IP-based network, and does not require any SMS integration. SAN FRANCISCO, May 17, 2012 – The world’s largest mobile itinerary management and travel booking service, WorldMate, today announced the availability of the WorldMate API and the accompanying developer portal at https://developers.worldmate.com.The WorldMate API processes travelers’ confirmation emails, extracts all of the key information, adds additional content such as an airport geo-code, and then sends the data back to the developer in industry standard Extensible Markup Language (XML). Developers can use the data to create a virtually limitless array of applications. Some examples include itinerary monitoring, expense reporting, traveler profiling or selling daily deals at the destination. New Delhi and London, May 15, 2012: Karbonn Mobiles, an established name in the Indian mobile phone market which is known for its pioneering range of attractively priced multimedia phones, announces its association with EMOZE Ltd to integrate world class push mail facilities into its avant-garde Karbonn KT-21 Express. By assimilating the world leader in push mail technology EMOZE into its fold, Karbonn Mobiles revolutionizes the Indian mobile market with a first-of-its-kind integration of faster push mail services with its KT21 series phone, thus providing the feature of E-mail on the go to the discerning mobile users of the country. Providing a vista for Karbonn users to send and receive mails real-time from their devices, the ‘Karbonn Smart Mail’ feature will allow users to work, send/receive emails offline on the move as well. By reducing battery consumption and cutting down on data charges, the push mail facility revolutionizes the way users access E-mails on the go while providing them a vista to integrate a range of email accounts like Yahoo, Hotmail, AOL, GMail, Outlook Exchange, and POP3/IMAP, on their devices. 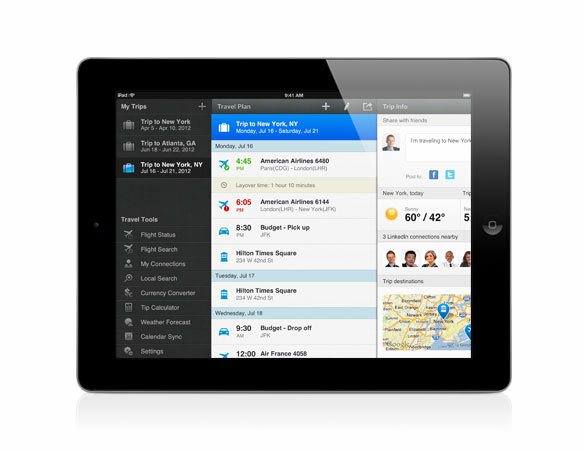 SAN FRANCISCO, May 2, 2012 /PRNewswire/ — WorldMate, the trip organizer and travel planning app with over 9 million users, announced today the launch of its WorldMate App for iPad. The app was built from the ground up to take full advantage of the Retina display and Multi-Touch capabilities of the new iPad.